Rojaal is situated in the Elgin Valley of the Western Cape, South Africa. 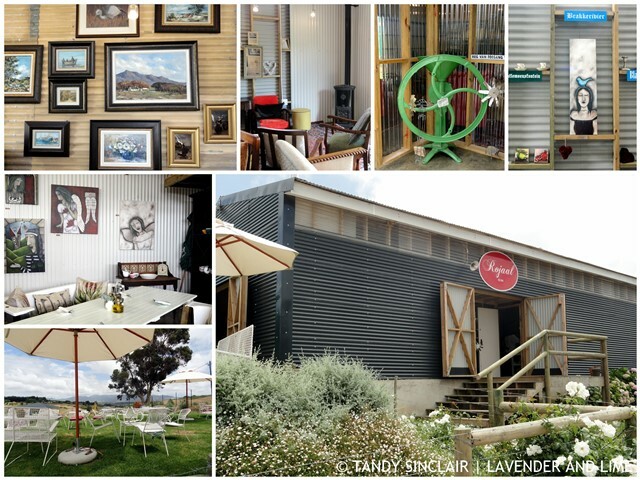 This casual eatery is housed in an old flower packing shed and contains a large eclectic collection of décor. Arno Reuvers, the owner, is an apple farmer and he ensured that we were seated at a table close to the large open door. The shed can get fairly hot when the temperatures soar, but the gentle breeze and fans ensured that we were comfortable. The spyskaart has all the meals listed in Afrikaans but as the valley is 50% English, you will find the descriptions of the items in English. The menu is concise and the portions are generous. Chef Orscilla works in a small kitchen producings breakfast and lunch meals from Wednesdays to Sundays. 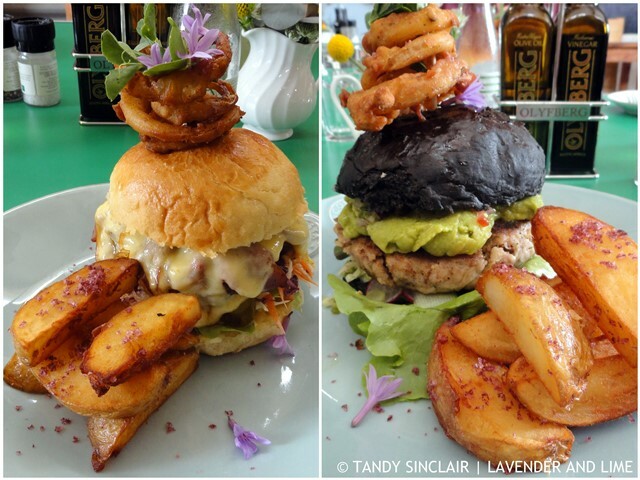 I liked the sound of the black brioche roll infused with squid ink so I chose the fynproewer burger for my main meal. This fish burger was served with crunchy onion rings and used smoked fish. Sadly there was no texture to this tasty burger. Dave chose the classy gerookte cheddar burger. His 200g patty was slathered in smoked cheese and was delicious. Sitauted around a fireplace which will be a necessity in winter, is a vintage lounge suite. If you do not have time for lunch maybe you want to stop in for morning or afternoon tea? The cakes on offer look scrumptious. We were told to go with the chocolate cake but I decided by look to try the “vergeet my nie” kaaskoek. This “forget me not” cheesecake would have been better served cold, out of the fridge. It was not quite set and I found the topping far too sweet for my palate. Saying that, I nearly finished off the entire slice. Charmaine let me know that the carrot cake is like eating an entire meal so I might have to go back just for that. Our waiter, At-Lee was very friendly and Arno came over to chat to us about our choice of drink. We went for the Cluver & Jack Cider which I love. The oil lamps use proper lamp oil which is a nice touch. We chose not to have ours lit as they were not necessary on the day. Why not pop in for their Burger Night Fridays, or maybe consider the Traditional Buffet which is served on the last Sunday of every month. Bookings are essential! 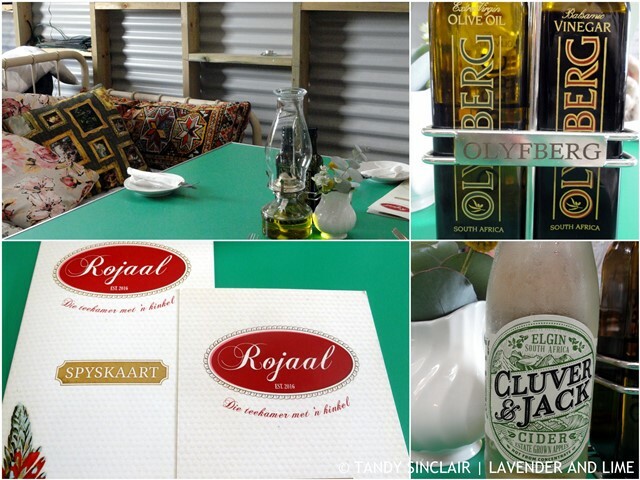 Disclosure: Dave and I were invited by Yolandi de Wet for lunch in exchange for a blog post. The meal was on the house and we left the waiter a gratuity as is our norm. This post is in line with my blogging policy. Dave and I are leaving for overseas tomorrow. We will be back at work on the 13th of February. I will start replying to comments then. I won’t be able to read any blogs while we are away so please forgive my lack of visiting back. You can follow our trip by taking a look at our holiday blog. Those burgers! Wow, they look amazing. It’s a shame your burger wasn’t as fab as it looked. This sounds like a great place Tandy, hope you have a great holiday. 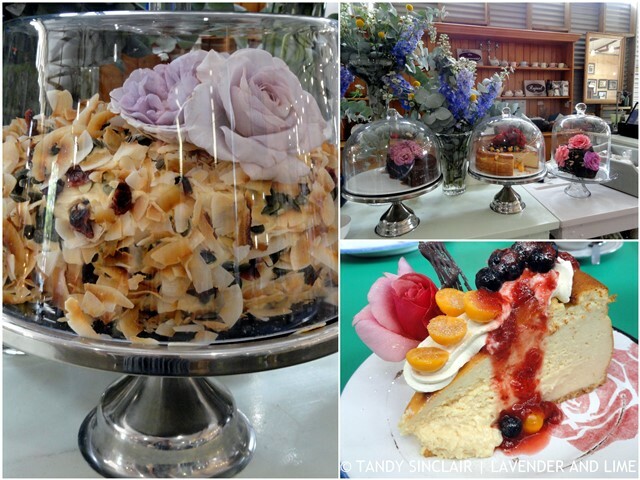 I’m just swooning over every picture here Tandy, what delectable food!!!!! I wish there was a restaurant around here served food that pretty, but there really isn’t. Especially on your anniversary or another special occasion. Good luck with you chipped tooth!!!!! I saw your FB post. Bleh. Sounds and looks like a lovely meal – would love to visit one day! Do you plan on coming back? I would definitely come in at tea time. Those cakes! Ooh I love the words “smothered with melted cheese” 😛 I think I started salivating! Sounds like a great place for lunch, Tandy. Terence won’t visit Cape Town until the water issue is resolved. I am organising a water raiser for the animals on 14 Feb. The water will be trucked down. That is so amazing of you! Sounds like a nice casual meal. Enjoy your time away and safe travels. They do look that good!